Using Tolkien's supporting material, the director may craft a new trilogy. Peter Jackson on the set of "The Hobbit: An Unexpected Journey." We knew that director Peter Jackson’s return to Middle Earth had been blown up into two prequel films. Now it just might be his second J.R.R. Tolkien trilogy. When Jackson and his stars hit San Diego’s Comic-Con International to preview the first installment, “The Hobbit: An Unexpected Journey,” the surprise news circulating through fandom was that Jackson hopes to shoot even more footage culled from Tolkien’s expansive body of fantasy literature and supporting writings to fill up a full three movies. PopcornBiz was on hand as Jackson, Martin Freeman and Ian McKellen explained the secrets behind the adventures of the original Baggins boy. 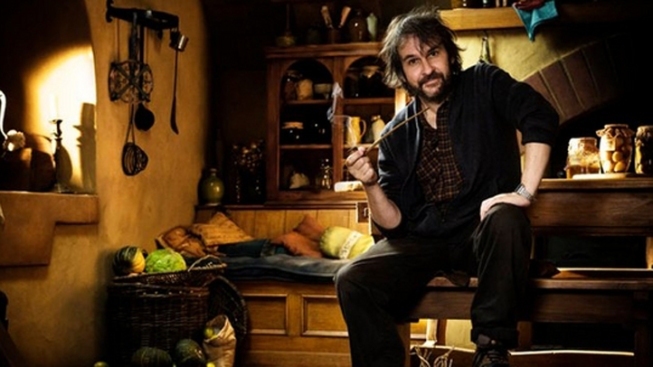 Peter Jackson: We basically used more source material than just "The Hobbit." For instance, in The Hobbit, when Gandalf mysteriously disappears for chapters, it’s never really explained, in any detail, where he’s gone. Much later, Tolkien fleshed those moments out. In these appendices, he did talk about what happened, and it was a lot darker and more serious than what’s written in "The Hobbit." Also, to be quite honest, I want to make a series of movies that run together, so if any crazy lunatic wants to watch them all in a row, there will be a consistency of tone. I don’t want to make a purely children’s story, followed by “The Lord of the Rings.” We are providing a balance. A lot of the comedy and the charm and the fairytale quality of "The Hobbit" comes from the characters. You are dealing with Bilbo Baggins, who is a little more reluctant, possibly, to go on an adventure than Frodo was. You’re dealing with dwarves who have a personality and camaraderie, all of their own. Martin Freeman: In the book, in Lake Town there are human beings. That’s when we became more aware that “Christ, we’re really small!” Because we spend so much of the time just hanging out with each other. We’re very aware that Gandalf is bigger. We’re used to looking two feet above Ian’s eyes. But among all of us, we’re just the heights we are, so it doesn’t really occur to you very often. My scale double hasn’t been used that much, really, so it’s felt fairly painless, and it hasn’t felt too contrived. I’ve been surprised by how quickly I’ve gotten used to these ways of filming that I haven’t used before. The first time that we ever shot a scene with Gandalf, where Ian had to be in a completely different room, I thought, “This is ridiculous! This will never work! Who are these people? Why are they doing this to us?” And then, an hour later, you go, “That looks brilliant!” You rehearse it and rehearse it, and it becomes normal. Your whole frame of reference for how you normally work on a film shifts. 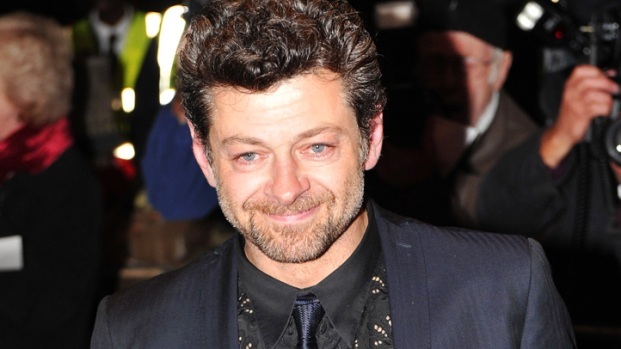 Andy Serkis: "It's Fantastic" Working On "The Hobbit"
While promoting his new movie, "The Rise of the Planet of the Apes," Andy Serkis chats about returning to Middle Earth for "The Hobbit." So, how is this experience different from "The Lord of the Rings"? Ian McKellen: Peter and I were just so thrilled that Gandalf the White wasn’t in “The Hobbit.” He was a man on a mission, so he had to get on with it. But, Gandalf the Grey has time to enjoy himself. He can have a smoke and a drink and a chat, and do a few little tricks. It was a great relief! But people shouldn’t expect to see a different sort of Gandalf. As for being 60 years younger, because the story takes place 60 years before, when you’re 7,000 years old, 60 years doesn’t make much difference! When we went back to do this movie, it’s not just the cast. It’s all the people behind the camera, too. They were the same. Every head of every department was as we left them on “The Lord of the Rings.” We were back with old friends. In fact, the new side of it was the actors, like all the dwarves and this particular Bilbo. But everyone fit in very well. 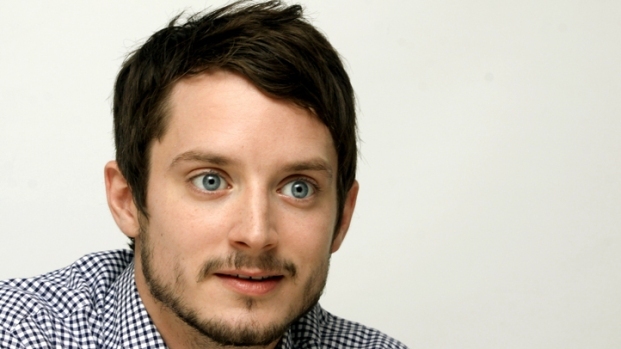 Elijah Wood: Filming "The Hobbit" Will be "Wonderful"
Elijah Wood talks about his upcoming trip to New Zealand to reprise his role of Frodo in Peter Jackson's "The Hobbit." Find out why the star is looking forward to revisiting this character. Jackson: It’s very, very premature. We have got incredible source material with the appendices. There’s the novel, but then we also have the rights to use the 125 pages of additional notes where Tolkien expanded the world of "The Hobbit." We’ve used some of that so far, and just in the last few weeks, as we’ve been wrapping up the shooting and thinking about the shape of the story, Philippa [Boyens], Fran [Walsh] and I have been talking to the studio about other things that we haven’t been able to shoot and seeing if we could possibly persuade them to do a few more weeks of shooting. We’d probably need more than a few weeks, actually, next year. The discussions are pretty early, so there isn’t anything to report, but there are other parts of the story that we’d like to tell, that we haven’t had the chance to tell yet. We’re just trying to have those conversations with the studio, at the moment. Jackson: "The Silmarillion"is the big [remaining] volume, but that’s owned by the Tolkien estate – it’s not owned by Warner Bros or MGM. And I don’t think the Tolkien estate are very fond of these movies, so I wouldn’t expect to see "The Slimarillion" any time soon.